In this video, Fab Dupont breaks down how to set your session up to stem mix and then walks you through his mix of The Arrows Prisoner where he dishes tricks on making louder and clearer mixes. 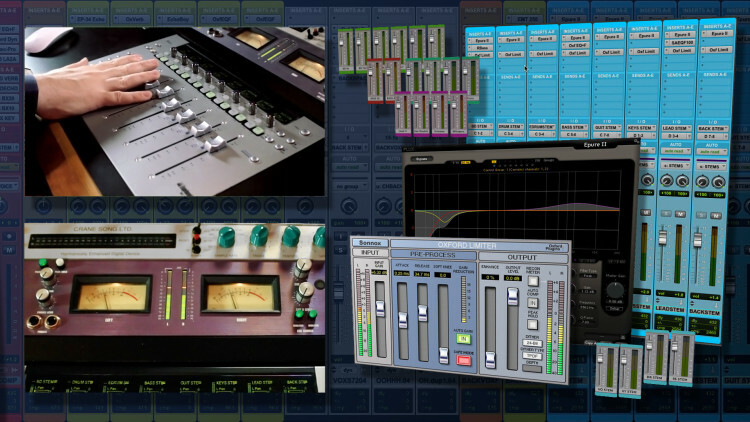 Stem mixing is one of the best ways to gain flexibility and bigger picture control over the shape of a mix as a whole. Become a pro at managing your mix’s dynamic range and deliver radio-ready mixes. Fab shows you how working in a stem mixing workflow has the added benefit of distilling a HUGE session down to just 8 channels that he can alway keep at his fingertips. Plus when it comes time to print a performance track or create a Live session for the artist, his work is already done - no re-routing or repetitive bouncing necessary. Pay close attention to the details in the routing that make Fab's setup incredibly powerful and easy to use. P.S. Don't forget the most important detail of them all: always color your stem tracks Baby Blue. 01:58 - What is Stem Mixing? Good morning children! Today we're going to talk about stem mixing. Wait! Don't go, I'll rephrase... Good morning children. Today, we're going to talk about a way to make your mixes louder without losing any dynamic range, make them radio ready, and find new workflows so you can work faster and more efficiently. You're staying? Thank you! Here we go! First, let's listen to some music. The song is by a band called The Arrows, from South Africa, they're fantastic. I produced and mixed this record, and I picked this song because it's an epic session. It's got lots of effects everywhere, crazy drums, electronic and acoustic drums, it's pretty wild. Let's listen first. Now, what's stem mixing? Good question! Thank you for asking. Stem mixing is actually derived from film mixing, where film mixers have hundreds, and hundreds of tracks. To make it more manageable, they downmix a bunch of stuff together, like for example, all the sneezes on a Sneeze stem, all the door slams on a Door Slams stem. For us, imagine all the drums on a Drums stem, all the basses on a Bass stem, all the vocals on a Vocals stem. Why do that? For us music mixers, imagine grouping all the drums together, all the basses together, all the keyboards together, all the vocals together, basically making groups of instruments that you can manage together and try and glue together. That's the principle. Then, you take all those stems, and you mix them together to make your final mix. So drums go into a Drums stem, bass into a Bass stem, guitars, vocals, and all those stems get mixed down together into a 2-track mix. Stem mixing is different from analog summing. You can use stem mixing with analog summing, or you can also use stem mixing, mixing in the box. The difference is what happens to your stems post stem mixing. Either you send your stems out to your converters for a regular analog summing workflow that you can see in many pureMix videos, or you keep your stems in the computer, into a 2-track for recording, for in the box mixing. Let's look at this session as a concrete example, so that your head can stop hurting. If you look here, in a lovely baby blue color, you have your stems. They're called Bass Drum Stem, Drum Stem, Electronic Drum Stem, Bass Stem, Guitar Stem, Keys Stem, Lead Stem, Back Stem. I tend to call them stems, because they are... well... stems! They're not subgroups. They may smell like subgroups, look like subgroups, taste like subgroups, but we're gonna call them stems, because that's the kind of people we are. We have subgroups elsewhere in the session, let me show you. Bass Drum Stem! Now up here, the bus that feeds the Bass Drum Stem Aux is called Bass Drum Stem. You'll notice that I have... three bass drums that go into one Bass Drum subgroup called Bass Drum. And that Bass Drum subgroup goes to the Bass Drum Stem. But I also have a triggered bass drum to augment the sound of the bass drum and that also goes to my Bass Drum Stem. You guessed it, the bass drum! Ok? Let's do that again. How about the drums? Let's look at it. Here you see that from my snare drum, all the way to my room recording, everything goes to a Drum Sub, which is right here. I'm also using the Drum Sub bus as a source for my parallel drum compression right here, with my trusty dbx 160 up here. Those two subgroups are mixed together and they go, guess where? Into the Drums Stem! I also have a parallel drum track that I actually recorded through a live 1176, that's also going to the Drums Stem. So if I go here and I press Play, and I listen to just my Drums Stem, I hear just the real drums. So now we understand how it works. So what's the point? Well number 1, workflow-wise, as you just saw, it's really easy to isolate instruments now. Say if I wanted to hear just the drums on that chorus. you know, door slams or whatever. In this particular case, if I want to hear the drums, all I have to do is mute everything else here. And I hear all the drums. If I feel like checking the balance between drum and bass, I just open the bass. I don't have to go search through the whole session to figure out where everything is, because everything is right here. This is kind of like "Grand Central" of my session and I can work from here most of the time. I have decided to keep it down to eight stems on all my mixes where I use this. Why? Because I'm lazy, and I don't like to mouse too much. So I have integrated a system where it's not that much distance to click from here to here. Minimal movement, and it fits good on the screen with my print track after that. Also, keeping it down to eight stems allows me to do a cool trick with my control surface right here. Let me show you. How does one set this up? I can show you with Pro Tools, because that's what I use. You have to go into the EUCON Control Settings, and to this page that nobody ever uses. It's called the Assign page. What it does is it lets you force any fader on the MC Mix, or even the MC Control, to look at the same track all the time. Usually, this is a dynamic process. You click on somewhere in your session, and everything goes "KrrrKrrr!" In this particular case, I'm telling it "Don't go Krrr! Stay where you are." So I'm saying the first fader on the MC Mix should always show the Bass Drum Stem. If you have two EUCONs, you can do sixteen stems. Once you're happy with this, you can say that in this window, that even less people use, called the Layout saving page, and you just hit Store. The magic thing is that Pro Tools will recall this automatically. Next time I open this session, I don't have to come back here, it's automatic, which is kind of nice for lazy people like me. Now, we see how it's setup. What's the point? Say I'm working on my drums. I'm all the way to the left of my session, 150 tracks to the left away from my stems. Alright? Say I'm working on the chorus, and I want to be able to hear the difference between chorus with and without bass drum, or massage the relationship between the bass drum and the drums. Normally, I would have to go fish in my session, and click and stuff like that, or go all the way back to the right to my stems and mute the stuff. the Mute buttons here, and I'm listening to just the drums, or just the drums and the bass, or I mute the bass drum and the drums, and hear the relationship between the bass, the keyboards, and the guitars. And that saves hours of mixing on a big session. Hours! Because you don't have to navigate yourself to go listen to what you want to listen to. That is the difference between DAW mixing and console mixing. On a console, your bass drum is always, always in the same spot, because it can't travel, it's hardware. So if you want to move your bass drum, you instinctively reach for that channel. On a DAW, you can't do that, because it moves all the time. You scroll... your bass drum is no longer where it was ten seconds ago, and that's a lot of mind share to keep track of. If you start working in stem mixing and you do this, your bass drum will always be in the same spot, and your reflexes will become as such: Oh, the bass drum is too loud... Boom! Your finger's on it, and you take it down. So I have decided to group my stuff strategically for stem mixing, so that I can have the instrument groups I know I will need to massage together, both for mixing, and for processing, which we'll talk about next. One more thing though. Another benefit of this is that since you have control over groups of instruments, you can manage the energy of the whole mix much easier. So for example, say you want your chorus to lift. How does one make a chorus lift? I don't know, maybe you raise the drums a little bit, maybe a half dB or a dB, to make it feel more organic. So how would you do that? Very simply! All you do is, if you already have automation, and you can now have automation on entire groups of instruments, but in this particular case, what I could do is do this. just move the drums up a little bit, and record that automation, which allows me to give the pump and then come back down at the end of the chorus. And I can come back to where I was. I just raised all the drums up a dB, a dB and a half, by feel and listening to it, holding three faders, in one pass. I don't have to go and automate little things. I can raise entire groups of instruments or lower entire groups of instruments, offset the balances, do remix-like breakdowns and stuff like that, just by touching faders, or working here on the screen. One last thing for the setup is you have to make sure that your stems are solo safed, like mine are here. In Pro Tools, to solo safe, you Cmd+Click on the Solo button. In other DAWs or Windows, it's Ctrl+Click or you can have Option+Click. Because if you don't solo safe it, when you solo something else in the session, you'll hear nothing, which is very frustrating. Let's talk about processing. If you noticed here on my stems, I have a bunch of plug-ins on the stems. If you use hardware, you can use hardware, depending on how you roll. Before I'm gonna hit my 2-bus, because this is an analog summing session, I'm able to process every stem separately depending on what's going on during the mix. For example in this case, I have a bunch of Flux Epures. I'm using them to shape the tone of the different stems, which means the different groups of instruments, to my taste. That probably happened halfway through the mix, or into the 4th or 5th revision of the mix, and I realized I was either painted into a corner, or I needed a little more energy elsewhere, or the bottom was too fat, or something was too aggressive. If we want to look at it, for example here I have the bass drum, I'm high-passing the bass drum at 40Hz, and I'm taking about a dB and a half, two dBs at 60Hz. Obviously I had a problem there. I'm also bringing a little presence at 5k, probably for the "Poink!" Now that's the bass drum. You could ask yourself, why doesn't he go back to the bass drum track, and do that EQing on that track? If you remember, the bass drum track is three tracks, plus a triggered track, and then the two of them are summed and then they go into this. It's much easier to do it here and it gives me that sense of togetherness. For example, I have a whole bunch of basses. I would have to go to every bass and high-pass them at 59Hz, give them half a dB at 271, and 1.87dB at 1089Hz. Now, it would probably feel very different if I had to do that on every bass. But the basses as a whole can take this, and it will put them together a little more, which I like. So, having a processing on the stems allows me to consider those instruments as sections, and help them fit with each other better, being in one location. That's number 1. Let's listen to the track with and without those EQs. Listen to the bass drum and the snare relationship, and the bass relationship with those two. Without the correction, which by the way is mostly high-passing, you'll notice that the bass drum gets cloudy and a little "Oom, oom." Same for the bass. With the correction, it gets a lot more legible. Check it out. Without first. One more time. Check out the bass drum, the snare drum and the bass, but also the apparent loudness of the whole track. It's not supposed to change the loudness, but it feels louder once you high-pass the gunk. Check it out. So that's one type of processing: EQing to massage the tracks together, gain a lot of energy back, in case you have too much energy in the bottom and you want to transfer it elsewhere in your mix, and alter the relationships of the different stems together, over the course of your mix, or different versions of your mixes. Incidentally on this mix, on the bass drum I have a little bit of R-Bass, which is a sub bass generator, to make it go "Boom," a little more "Boom" I guess. That is probably to compensate, or take the place of, the hole I made at 60Hz on the bass drum. I wanted to try it, I tried it and didn't like it, and was too lazy to remove it. I vie for option B. Let's talk about the limiters, the ones you have been looking at since the beginning of this video. Those, right here. You'll notice that there's a limiter on every stem. And you'll notice as I open them that they're all the same. basically assign a bunch of parameters to a group. For example, right now if I bypass one of those limiters, they're all bypassed on all the stems, which is gonna be great to show you before and after. Also, if I change a parameter on one stem, they change on all the stems, which is very nice. You can find that parameter, you Pro Tools geeks, in the Group function. We'll make another video about that. So let's find out what the impact of those limiters is on our track. First, let's listen with, as you have from the beginning. Listen to the bass drum, the snare drum, and the vocal, as always, and listen to that elusive thing called the glue. Does it feel all together? Memorize that, so that when I bypass the limiters, you can feel the differences. Here we go. With. Interesting, isn't it? I'm gonna play it again, unlimited first. Check out the bottom... 50, 40, 30. If you are listening on your laptop speakers, you're out of luck, but then again, in general, if you are listening on your laptop speakers, you are out of luck. When I turn the limiters back on, right after, listen to the bottom again, and see how it tightens up, and cleans up. Why is it doing that? It's because everybody is being put in its own little box by the limiters. In theory! But I hear something, you hear something, we hear something, I'm not Joan of Arc, it's not voices! It's doing something nice. And... if you look at the meter, you'll see that not only do we get a little tighter, a little cleaner, and we gain one dB, or maybe a dB and a half, in peak/average. What's that? Well that's the difference between you average level, which is how loud things feel, and your peak level, which is how loud things are. If you're gonna try and prepare your track to be loud so that your mastering engineer can make it as loud as the whatever record that right now rocks your boat, you have to kind of prep the mix. You can't just mix a way and then hope for your mastering engineer to do a miracle without ruining the track. you know how to make obnoxiously loud records. That said, the more you limit your peak/average, in an elegant and non-destructive manner, at the mix level, the easier it'll be for your mastering engineer to make the record loud, without ruining it. If you noticed here, what I'm doing is I'm tightening up the bottom very elegantly, because of the tone of the limiter and the little bit of squeezing it does, and I'm getting 1.5dBs of peak/average over the whole mix while making it sound better. Isn't that wonderful? Let's listen to it again. So obviously, the advantage of this versus smashing your whole mix with a limiter at the end, is that you're doing this in sections and you're doing a little bit of limiting here and there, as opposed to a whole bunch of limiting on just the whole mix. One of the problems of doing a lot of limiting on a whole mix to be able to do that prep, is that when you have a big bass drum hit in it, the whole mix goes down. If you have one instrument that has a big peak/average, usually bass drum or snare drum, it will compromise the whole mix. If you do it this way, you can decide exactly how much peak/average per stem. In this particular set, I'm using the same settings for everybody. But I don't have to! Say for example my snare's obnoxious, I can limit this stem more than the others. So my whole drum set is gonna be a little squeezier, but everything else is gonna breathe, so I'm not gonna get as much of a squeeze. I'm being fairly metrosexual about the settings here. I'm getting 1.5dB by using basically no gain on my limiter. 3dBs on the input, and you'll notice that all the stems now have 3dBs on the input. And then, of course, so I don't fool myself, I'm gonna lower the output by 3dBs. Now for some reason in this session, the Oxford limiter needed 0.7dB down to be able to be unity, meaning that the level is the same when I bypass it. So if I want it to be the same, with 3dBs of gain, I'm gonna probably start at -3.7dB. And as a reminder, without. So you noticed that the mix is essentially the same as it was, but a little tighter, a little more together, and with a peak/average reduced by about 2.5dB, or 3dB, which is lovely for something that did not ruin my mix. Now how far can you go? Very good question, thank you for asking. Let's figure it out. How about... 6dBs? -6.7... without. That's too much for me. Obviously, this level of compression is not scaring a whole bunch of people who get their tracks on the radio, considering what I hear on there, but for me, it's too much. So I'll find a spot in between. But you get the vibe. The vibe is this: you can do this a little bit on every stem. If I wanted to, I could relax the bass drum, and relax the drums, I would get that squishy vocal sound that we hear a lot, and then the drums still pumping in the front. So now you have a palette here, on these eight stems, that can help you reshape your track very easily, and completely, with just a little brush stroke here and there. You'll notice that there still is a limiter, yet another limiter, on my 2-mix. Because that is basically gluing those 8 stems back together. So we have the stems gluing the stuff together, and the coming together of those stems being glued together by this limiter. You could use all the limiters, you could use more EQs, less EQs, but that's the principle of stem mixing. Another advantage of working this way is the following... check it out. Say your singer calls and says: Look, I'm going to Jay Leno tonight, I got the gig, I need a TV track with no guitar. You could go into the whole session and find every guitar and every vocal, or you just go to your stems, mute the guitars... out! Also very important for pop bands, R'n'B bands or hip-hop bands that play with tracks a lot, maybe sliced up in Ableton Live for their live show, when they want to recreate the sound of the record on stage, you can now stem the whole record, meaning you can print the whole record in stems very easily. You now have a perfectly phase accurate version of your bass drum. Then, you mute the bass drum, you turn the rest of the drum set on, you print again, and it's now perfectly in sync with the bass drum stem. Then, you print the EDrum set, and so on, and so forth. If you take all those stems back into another session, you're gonna get your mix. They'll gonna be able to take those stems, slice them up, bring them into Live, or whatever else they use, or their samplers, and do a rocking show that sounds exactly like their record. Side note... If you really want an absolutely, completely accurate mix to be recreated on stage, I strongly recommend you to have separated reverbs. Meaning, if you're gonna use a reverb on the vocal, only use it on the vocal, so that when you print your stems, and you print the bass stem, you're not tempted to send the bass into the reverb vocal, which is gonna make a bloody mess in your session. 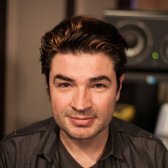 Stem mixing is a good way to simplify and essentialize your workflow, make it easy to massage a track stem by stem altogether, and of course, the reason why you watched the video all the way through, a good way to make your record ready for radio, or blatant mastering, by keeping the peak/average under control. So go stem something! Et voilà! Hey Fab, great video, but still dont understand the difference between stems mixing and just using AUX s for each instrument and VCAs. Thanks! Hey Fab, question regarding the routing to the stem tracks. I currently send most of the instruments to a rear bus aux for compression which is then routed back to my master bus processing. Should I leave the rear bus routing alone or do I need to have a “rear bus” for each stem? One more question. So if your vox and or bass lets say or in Mono in the original tracks it is OK to make them stereo and wide on the stem as long as you follow the panning. And how does this affect the workflow using a dangerous 2bus+? Just make everything stereo on the 2bus+? Thanks! Is there any benefit or difference of having the stems (or even subs) as a VCA Fader rather than audio track? Still confused about the need for a group, which then gets routed to a stem (aux)..... and it seems in PT you cant solo the stem , looks like you had to mute the other stems to solo something. On a real console if you have a bunch of tracks routed to a group, can you just hit solo on the group fader? Great an d entertaing video as always, thx! @Styles: I probably wanted to be able to show with and without limiter in one click across the mix. What about using Oxford Inflator instead of the Limitier? Didn't really understand the part about printing the stems at the end for live use. Were you recording the bass drum stem to another audio track? You then went on to say you continue by "printing" the next stem----does that mean you record that track to a separate track as well, like the bass drum? Very interested in the live performance possibilities, any help on that would be greatly appreciated! Great video by the way, thanks! @freewind1974:JUst print your stems thru the whole system. It'll work fine and sound great if you are not being too heavy on the 2Bus processing. @duguy: I never dither I truncate. On the Sonnox limiter, no dithering and dithering to 24 bit is the same. PPLP_SMorse's question is interesting, I haven't figured out myself a way to use 2bus compression on stems yet. I sometimes print stems on heavy mixes to save CPU, and I do it pre-2bus processing. If I had to send stems out, ie. for stem mastering and such, and I wanted to use 2bus processing, I would have to find an alternative, besides not using 2bus processing at all. Any better idea? There has to be a way though. Hello fab, i noticed that you keep the dithers engaged on your limiters to 24 Bits. What is the interest to keep the dithers when working on stems ? Great video, but what do you do about reverbs if a client wants stems? Since they return on an aux, they won't be a part of the stem. Great video as usual! Do you know how I can set up my Tascam US2400 in order to have a bank permanently attached to 8 faders as you did in the video? It looks like you have a dedicated menu on the top right corner of your window, but I don't! Thanks! I have one question. What about the reverbs. They go also to the stems track? Thank you very much. I will modify my mix template right now ! Thank you for teaching/sharing these methods Fab! Extremely informative, you really have to be on your toes to follow Fabrice. I don't work with this many tracks... ever, but the concepts here are very useful. Hi Fab, what do you recommend to do about mix buss compressor(s) when printing individual stems? I use those a lot for overall tone of the mix and sometimes as the glue (which you already have a limiter for) and I think it would come out very different stem by stem instead of the whole track. great video FAB!....thanks for the info! Excellent presentation and great information - as usual. This video is AMAZING! Well done Fab!